An opposition activist has spent a night in custody for disorderly conduct and behavior judged to be insulting to St. Petersburg Governor Valentina Matvienko. ­Nikolay Artyomenko, a member of the liberal Yabloko party, was detained on Thursday evening near the building of the city administration (Smolny). Quoting his fellow party members, the local Rosbalt news agency reported that he was first accused of violating the rules for holding public events, but later the offense was requalified to “using bad language in a public space”. Artyomenko was said to be seated on the sidewalk near Smolny, holding a portrait of Valentina Matvienko and swearing. 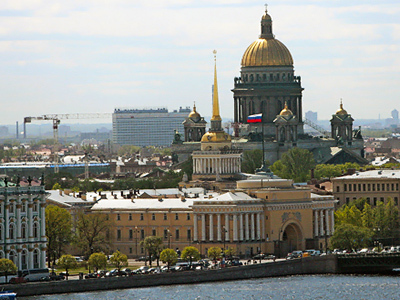 The incumbent St. Petersburg governor is running for election in municipal legislatures in two separate city districts, Petrovsky and Krasnenkaya Rechka. Previously, President Dmitry Medvedev had backed her candidature for the position as the new speaker of the Federation Council, after its head Sergey Mironov was recalled. However, under Russian law, to enter the upper house, she first needs to get a deputy mandate. 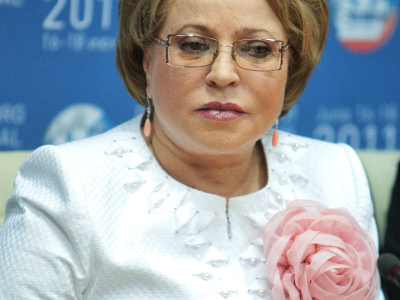 Matvienko announced that she had applied to run in the two city legislatures on July 31. The opposition said the announcement came too late, just a short time before candidate registration closed. As a result, they had no chance to nominate their candidates. The governor responded that even before making her statement, the information had been published in two official district newspapers. The court has also confirmed that all legal formalities for the nomination have been fulfilled. Nevertheless, the opposition insists the law was breached. They have started a campaign against Valentina Matvienko, with each choosing their own specific tactics. Thus, members of the unregistered party The Other Russia have promised to go from door to door persuading people not to vote for her. Another unregistered party, Rot-Front, is going to conduct exit polls, in order to compare their results with the official ones. As for Yabloko, they chose a somewhat more theatrical approach. 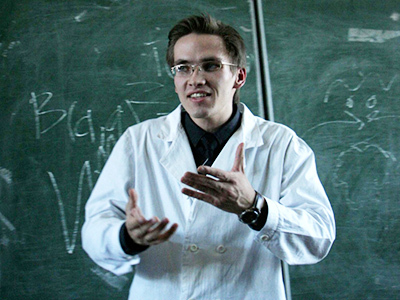 Apart from Artyomenko’s “performance”, they plan a series of similar actions. They promised to bring to the office of the Petrovsky district election commission several dozen toy soldiers, hinting that a military unit located there is sure to vote as they are told to. The Krasnenkaya Rechka election commission is also going to get a “gift” – two rats. 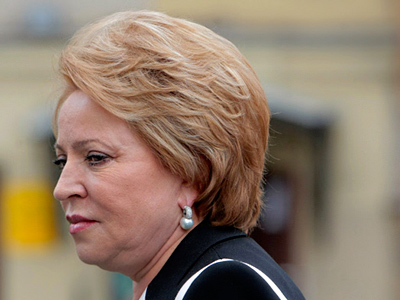 Yabloko also intends to take legal action against Valentina Matvienko. They are now gathering evidence to file a request to the chief prosecutor of St. Petersburg to check all the circumstances of the nomination.